In the recent Incheon Asian Games 2014, Police Constable (Auxiliary) Man Chun-kit ranked 15th in the 25m Standard Pistol Men's event, the best ever achievement pulled off by a local amateur ISSF shooter. He also ranked 18th in the 10m Air Pistol Men's event. The Secretary General of the Hong Kong Shooting Association, Mr Edgar Yang, who is the Deputy Commandant of the Auxiliary Police Force, after London Olympic 2012, reviewed all local shooters who had achieved the minimum qualifying score in Air Pistol event at an international shooting standard, and selected PC(A) Man for 25m Standard pistol training. 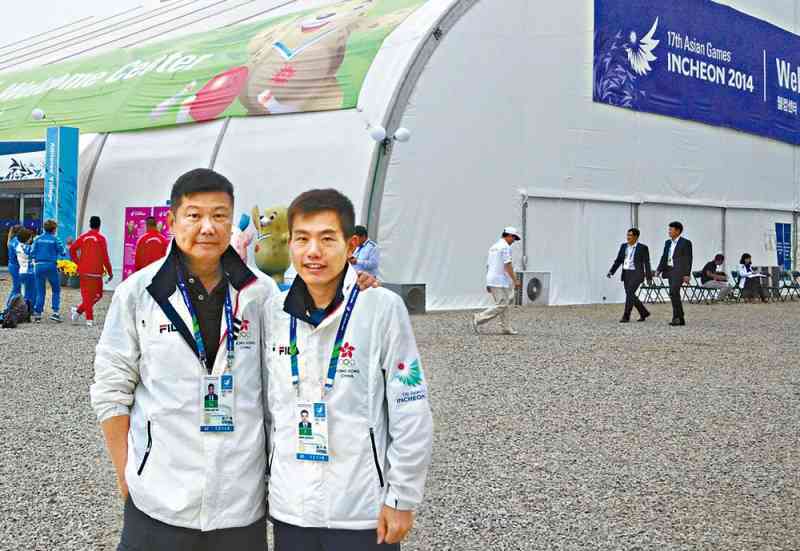 After two years, PC(A) Man was selected to compete in the 25m Standard Pistol Men's event of Incheon Asian Games 2014. He shot 560 and ranked 15th, four ranks higher than Mr Yang, who shot 556 in the Asian Shooting Championships 2006 and ranked 19th. Since April last year, PC(A) Man has taken part in a series of international championships, including 10m Air Pistol Men's event in three stops of World Cup, All China Games, East Asian Games, South East Asia Shooting Championships, Asia Air Gun Shooting Championships, World Shooting Championships and Asian Games, as well as 25m Standard Pistol event in South East Asian Shooting Championships, World Shooting Championships and Asian Games. Mr Yang said, "Man possesses a responsive feeling to the finger-trigger operation. To command well the first stage of the trigger weight in only one thousand gram is completely attributable to the effort Man made in training in Air Pistol shooting." PC(A) Man is just at his early 30s. As an amateur shooter, his potential will "absolutely be amazing". A teacher by calling, he started falling in love with shooting after joining the Auxiliary Police. On a special occasion, he picked up Olympic shooting and from then onwards, he trains for two to three hours a day after work. "Two years ago, when Yang Sir passed me a piece of Olympic .22 standard pistol, I felt very excited as it was not easy to pursue shooting sports in Hong Kong. Yang Sir was willing to groom the next generation of shooters without reservation. I learned from him the way to manage the recoil after firing. Arrangements were also made for me to receive training by a qualified coach from the Mainland and visit the China Olympic shooting training centre in Guangzhou regularly. I want to say thank you for offering me all kind of training for my achievement today." PC(A) Man added, "For Brazil Olympic 2016, I will train and improve myself in air pistol shooting in order to secure qualification for participation, which is the dream of any athlete." Mr Yang said that PC(A) Man, if selected to compete in Brazil Olympic 2016, will become the second Auxiliary member to take part in the Olympics after former PC(A) Lo Ka-kay, who competed in Athens Olympic 2004, in the Olympic shooting history of Hong Kong.